By now, anyone who’s seen the stream of Rocko‘s latest works knows that he’s a super builder, capable of crafting excellently large castle dioramas in a very short time of days. 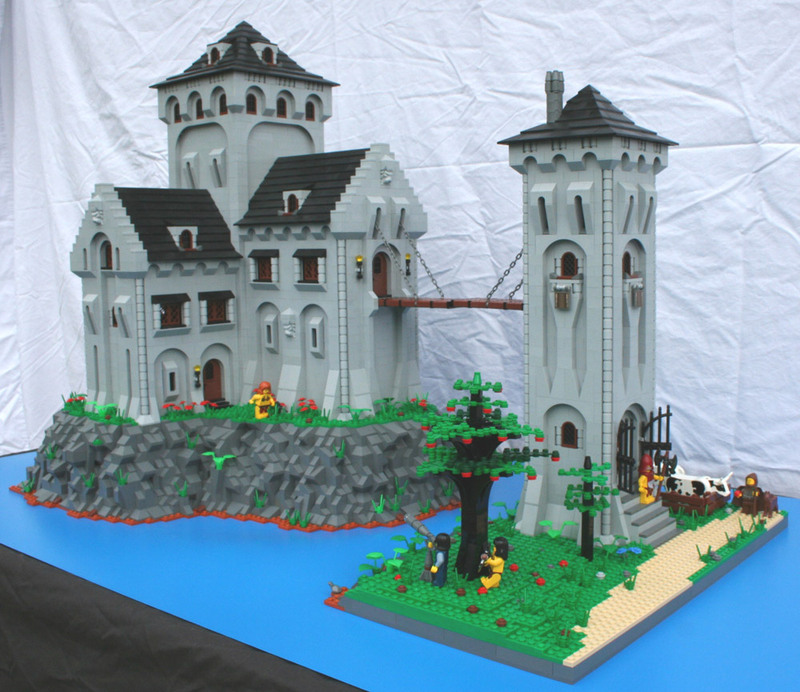 His most recent work is another grand variation of the castle theme with two classic-looking towers connected by a stunning drawbridge. Of course, Rocko adds his signature touch with female minifigs.